A title agency bond, or a title agent bond, is a surety bond required of title insurance agencies which guarantees that title agents or agencies will comply with a state’s regulation for title agents. The bond is usually required by a state’s Department of Insurance or another similar institution, when individuals apply to obtain a title agency license in their state. The bond also guarantees that title agencies will perform their job in an honest, faithful and precise manner. This applies to all title agency functions, including title searches, title insurance, issuing and handling legal documents, and other tasks requested of them by clients. In other words, title agency bonds protect the state and the public from title agencies that mislead or misrepresent their clients, act dishonestly, or otherwise engage in activities that are not in compliance with state regulations for title agencies. Title agency bonds, as all bonds, are a type of agreement between three parties: the principal (the title agency or agent), the obligee (the state department licensing the agency and the public) and the surety bond company that backs the bond financially. If a title agency does not comply with state regulations and causes financial harm to an obligee, the latter may file a claim against the agency’s surety bond. In this case, the surety bond company steps in and, if necessary, compensates obligees up to the full penal sum of the bond. In such a situation, the title agency must then compensate, or indemnify, the surety for its coverage. Who needs to obtain a title agency bond? Are there different types of title agency bonds? How much does a title agency bond cost? Can I get a title agency bond with bad credit? How do I get my title agency bond? These bonds are necessary for title agencies, and title agents, in states which require them to get bonded. A separate title agency bond must be obtained to fulfill each state’s requirements, because of the differences in local regulations. Title attorneys and title insurance agents may also be required to obtain these or similar bonds in order to receive their license. These bonds should not be confused with title service agent bonds which are bonds required or car title agencies. These are an unrelated type of bonds. Title agency bonds may vary in what they are called, depending on specifications and definitions in local regulations. As a whole, they are known as title agency bonds, but may also be called title insurance agent bonds, title insurance settlement agent bonds, title attorney bonds, or escrow agent bonds, to name a few. This is why title agencies who wish to operate in multiple states must get bonded separately in each state that requires bonding. Title agency bond cost is a fraction of the total amount of the bond. The exact amount of the bond is determined separately in each state and can vary significantly from those in other states. For example, the amount of a title attorney’s bond in Texas is $7,500, a title agency bond in Florida is $35,000, and up to $150,000 and $200,000 in Ohio and Virginia respectively. Bond cost is based on this amount and is usually a small percentage of it. The exact percentage is determined by sureties when they receive an applicant’s bond application. To determine a rate, sureties look at an applicant’s personal credit score, financial statements, asset profile and other indicators. Credit score is the most important among these– the higher an applicant’s credit score, the lower their bond rate. Applicants with high, or relatively high, scores can expect a quote that is between 1% to 3% of the total amount of their bond. In other words, if you are getting bonded in Florida, the standard market rate on your bond will vary between $350 and $1,050. Want to know how much your bond would cost? Just submit your surety bond application and we’ll do the rest. Once we’ve processed your application we will send you a free bond quote. Quotes are entirely free of charge and have no obligations attached to them. Applicants who have a low credit score are often turned down, and find it hard to get bonded. Many sureties do not want to take a risk, and decline applications from low credit applicants. However, it’s still possible to get a title agency bond with bad credit and without excessive difficulties. Lance Surety Bonds’ Bad Credit Surety Bonds program makes this possible thanks to our access to a variety of special markets, made available by the sureties we work with. All of these are A-rated and T-listed surety bond companies, which means that your bond is issued by some of the best companies in the country, at only a slightly higher rate. Under this program you can expect to pay a rate that ranges between 4% to 7.5% of the total bond amount. Whether you get a rate under this program or a standard market rate, we at Lance Surety Bonds are always looking for the best and lowest rates for our clients. And we never make compromises with the quality of the bonds we provide. To obtain a title agency bond, apply online through our application tool. Your application will be processed, and we will contact you within a short amount of time with a quote on your bond. Call us at (877)-514-5146 anytime if you have any questions about your bond. 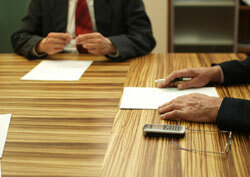 Lance Surety Bonds’ experts have extensive experience in the surety bond industry, and will be able to help you out. Additionally, you will be asked to pay a fee, such as an application fee, a processing fee or a licensing fee. Title agency licenses are issued for a certain amount of years, after which you will need to renew your license, along with your surety bond, and submit a number of the above documents anew.